Get a Fair Same Day Quote on Most Jobs! 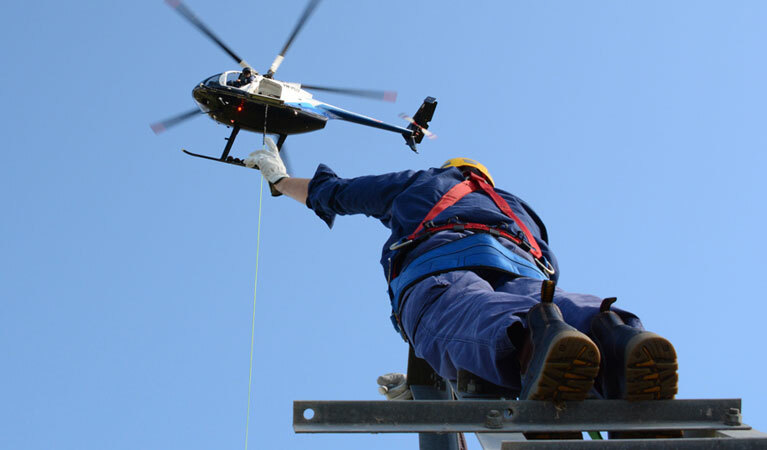 Helicopter Lift Services cover a wide range of jobs and applications. From the removal of damaged structures from atop extremely tall buildings to the precision placement of artwork. Or, in positioning of HVAC units to the rooftops of apartment buildings in metropolitan areas. Heavy-lift helicopters are the most accurate and effective means to make these types of job possibilities. Not only does the maneuverability of the aircraft allow for it to weave in and out effectively through a maze of skyscrapers, but the agility of the helicopter affords it the means to hover over structures. Helicopters also have the functionality to spin 360 degrees to make the precision placement of domes, sculptures and smaller utility units a piece of cake. Helicopter Lift Services make use of cables and different models of helicopters to efficiently convey large equipment to job sites, or to carry replacement drill parts and components across oceans to offshore oil rigs. Heavy-lift helicopters like the Kaman K-Max, the Bell UH Huey and others are mainstays in the helicopter industry as they serve a vital purpose throughout an extensive list of applications and across numerous fields. Reserve A Heavy Lift Helicopter To Facilitate Your Construction Requirement! Helicopter Lifts and Logistics Done Right. Reserving with FairLifts is easy and convenient. Simply place a call, relay detailed information regarding your construction or heavy lift project specifics and agents will get to work handling all the important logistics for you. From same day quotes (in most cases) to handling FAA flight plans, our staff is experienced and ready to help you get the job done in time and on budget. Need additional services beyond long-line or sling load lifts or want to learn more about a particular service? Read on to see a brief explanation of some of the services that FairLifts can provide for you. 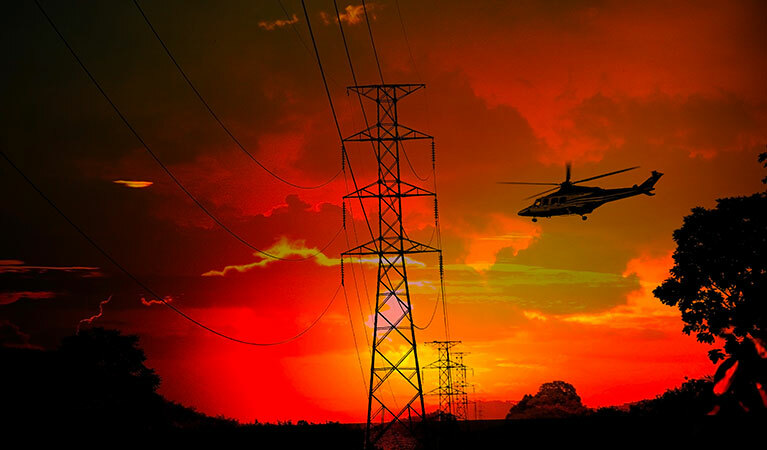 Heavy lift helicopters make use of rigging, cables and cargo hooks affixed externally to the helicopter to transport materials needed in the construction of transmission towers as well as cellphone towers and other communication towers. These towers are configured in a variety of ways dependent upon their location, equipment, and other specifics, therefore the materials needed in construction vary. Materials may often consist of the following: tubular steel, aluminum or steel lattice sections, even concrete. Additionally, long-lines may be used to suspend linemen below the helicopter in efforts to repair, maintain, upgrade and construct towers. One of the most common heavy lift tasks that come across our desks is the installation or replacement of commercial HVAC units and adapter curbs. For many tall, high square footage, or remote buildings, a crane simply can't be utilized affordably and that's where the use of a heavy lift helicopter really shines. Our pilots are well trained in doing the precise long-line work required to position HVAC units quickly and easily. Most jobs only take an hour or two and don't involve the potential for the destruction of pavement or landscaping that may come with a crane. Call today and get a fast, free quote and we'll handle the FAA flight plans for you! While most of our heavy lift loads are between 500 and 6500 pounds, sometimes a larger aircraft is needed for special projects. FairLifts should always be your first call for these projects. With a network of helicopters scattered across North America, we're prepared to get you quotes on outsize loads that may have no other solution. Heavy Lift helicopters and air cranes are used continuously throughout the installation of utilities and oil & gas industry infrastructure. The same way in which you may spot at a truck carrying pipeline down the interstate with the wide load sign affixed to the back, air cranes can be used to transport bundles of pipes for the installation of waterways and oil & gas pipelines across states or cross country. Experts are standing by to get you a fast quote for your long-line heavy lift job! Less time, less money, more done – a helicopter works best for heavy lift construction projects. Time is the game, and a helicopter is your most valuable player. Anyone in the construction industry knows the difficulty of obtaining job permits. Let us handle the red tape and get you ahead of the game. From installing two-ton steel beams over a bustling cityscape to precise placement of a 6,000 lb. pool into its earthly mold, intelligent logistics are necessary for a smooth operational timeline. Helicopter lifts offer an advantage traditional methods of transport don’t: fewer headaches and a head start. A helicopter gets more done in less time. This translates to money saved, obstacles avoided and expectations exceeded for new and ongoing construction projects all over. 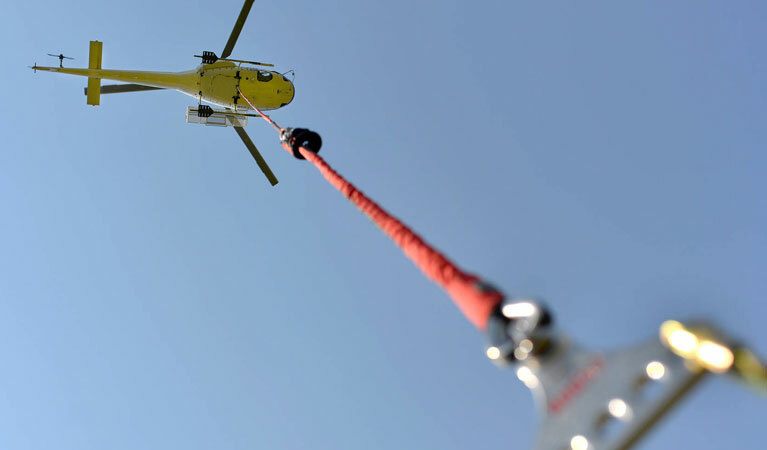 In the hands of hard-working professionals, helicopter lift services offer a clear and effective path to job completion.